Business & Sustainability Part II - Sustainable Brands - GreenBuzz Berlin e.V. Sustainability is on the radar of most companies as society is increasingly expecting from businesses more than just delivering a product and making profits. They should go beyond their operations and products and include commitments to ensure social and environmental sustainability. Last month, we published a blog post about how companies can integrate business and sustainability. If you haven’t read it yet, click here. Today, we will share two business cases about how two leading companies set sustainability as the foundation of their business strategy. Patagonia is an outdoor wear brand with roughly USD 1 billion in annual revenue and one of the leading companies among socially responsible businesses. With a mission statement to “We’re in business to save our home planet”, Patagonia has set a high bar. They incorporated several aspects of the green movement as their products and operations aim at sustainability. For example, the company source mainly certified fabric or use recycled materials. They reject fast fashion by creating high-quality, long-lasting products and offer a repair and reuse program. They even go so far as to discourage customers from purchasing too many of their products. 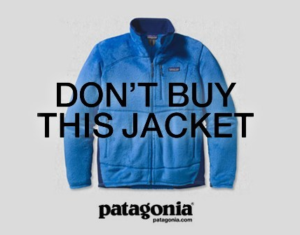 Besides, Patagonia has been a pioneer of supply chain transparency, educating consumers on the reality of its business, creating a sense of shared identity which has transformed the conversation around environmentalism. The company set sustainability as the foundation and core of their business strategy, making it the starting point of what they do by addressing a global trend, capturing value and using it as a business opportunity. Unilever, a leader in sustainable business models, is a company with 2.5 billion consumers who use their products on any given day. 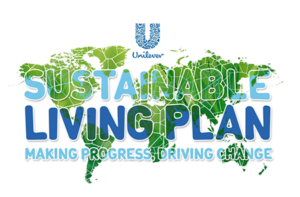 At the center of the company is the Unilever Sustainable Living Plan (USLP), which stated aim was to double the size of the business whilst halving its environmental footprint. The USLP is a strategic response to major global trends Unilever identified, such as environmental stress, increasing population, the digital revolution. The results so far show that their ‘sustainable living brands’ – the ones that contribute to reducing the environmental footprint and increase the positive social impact – are growing twice as fast as its other brands. Sustainability has long been at the heart of the company. A crucial step towards that was the CEO’s decision to combine marketing and sustainability: “you can’t have marketing in one corner ‘selling more stuff’ and sustainability in another trying to save the world. Let’s do marketing in such a way that we are addressing real social challenges. That way we’ll create a business that is much more vibrant than red bottle versus blue bottle”.